As all runners know that just as important as having your running route planned, is also knowing where to go when its time to go. ? 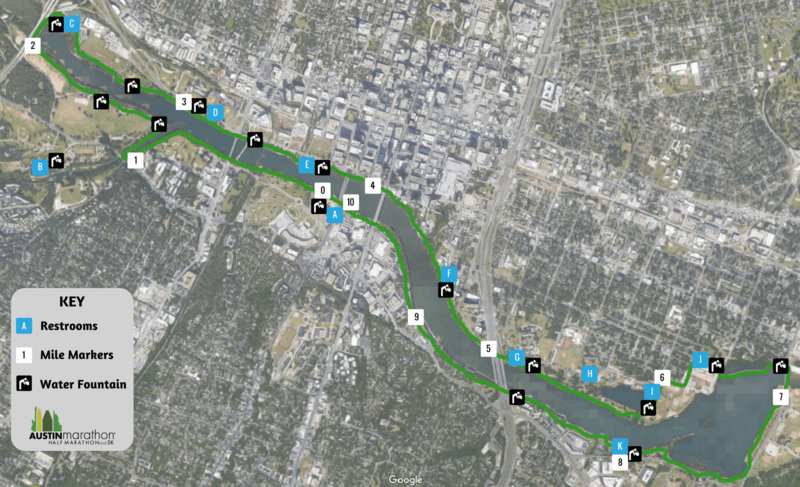 So, we have put together a map that shows you where to find restrooms and water fountains on Austin’s hike and bike trail. The map starts at Auditorium Shores, marked Mile 0 on the map. We hope that this map will come in handy the next time you are out enjoying Austin and nature calls! Locate restrooms, mile markers, and water fountains using the map below. It is important to know that the city turns off the water the few times a year temperatures get near or below freezing. 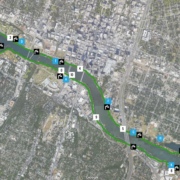 A little backstory about “the Trail” for those who are not familiar: Austin is home to the Ann and Roy Butler Hike-and-Bike Trail at Lady Bird Lake, otherwise known as the Trail. 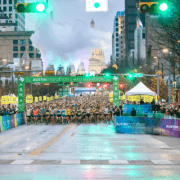 This completely connected 10-mile haven for runners, walkers, and cyclists resides in the heart of downtown Austin, TX. 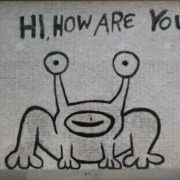 According to Austin Parks and Recreation, 2.6 million visitors check out the Trail every year. 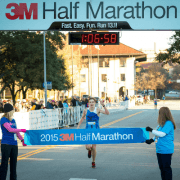 It is easy to say that the Trail is one of, if not the top running spot in Austin. The trail is full of local marathon, half marathon, 10Kers, 5Kers, runners and families enjoying running and outdoor fitness. You can event sometimes spot local celebrities getting their workout out. 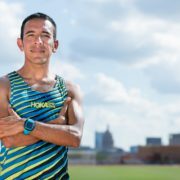 Race ambassador and Olympic Silver Medalist Leo Manzano can often be seen flying by on one of his weekly workouts.